Light has been useful to man since the beginning of time. In more modern times, free to explore uses beyond function, humankind is starting to have fun with it. Light shows, fireworks, and artistic lighting are a few ways we have made light enjoyable. Finding creative ways to make light useful and fun is one of the things that turns the page from yesterday. Letting light into the conference room is something 90 Degree Office Concepts has brought to its modern conference-table design. 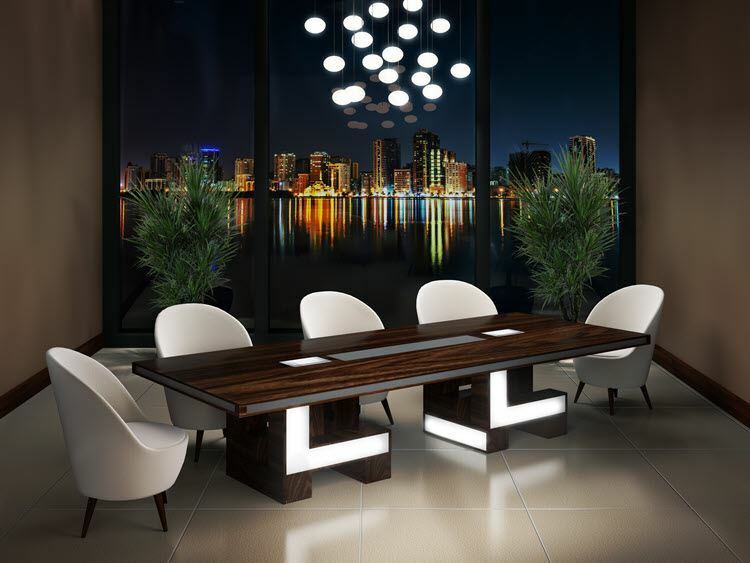 The Virginia Modern Conference Table features a light source at the very base of the table. 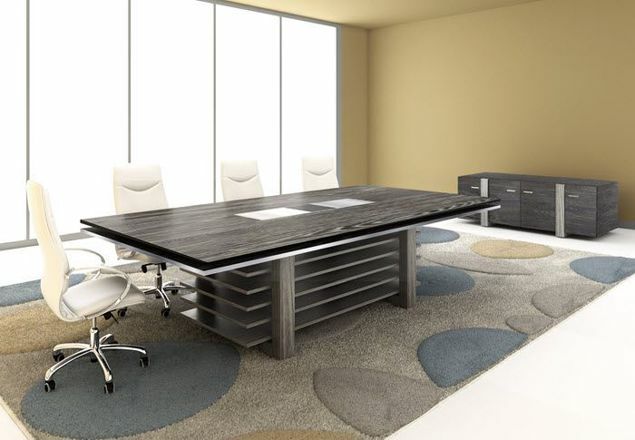 The Virginia Modern Conference Table is a unique design idea that incorporates wood, acrylic, and glass materials to form a very different meeting-room experience. The table has a backlit base that lights up its acrylic covering. Moving up to its top, you find frosted glass inlaid in the maple wood veneer top (wood veneers are upgradable to your specific preference.) At the table edge, you will find frosted glass inset at the side. The Virginia can be your choice for a unique conference room setting. Size flexibility: This modern conference table is designed and priced at 48" x 96", and can be upsized to fit your business needs and your room perfectly. Just ask your design consultant for any help you need to get the perfect fit. 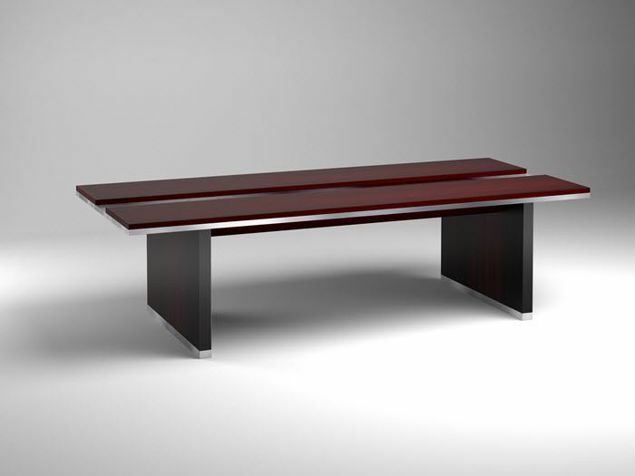 The Virginia Modern Conference Table shown is sized at 48" x 120" x 31"H, and is finished in Warm Brown Maple wood veneer. Both tabletop and edging feature frosted glass inlay. The base is backlit on three sides, and is surrounded by Maple wood veneer. Priced at: $5,991.